Like Selena and Justin in 2017, Netflix and Cannes are still working it out. After a particularly prickly 2018 festival — the streamer’s movies were banned from competition, and then Netflix said it would skip the fest altogether — Netflix won’t show any films in or out of competition at Cannes this year, according to Variety. 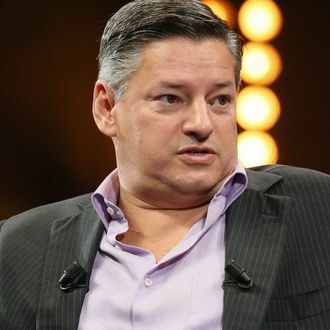 Netflix execs Ted Sarandos and Scott Stuber have been in ongoing talks (including, reportedly, over a fancy dinner) with Cannes artistic director Thierry Frémaux, but no compromise has been reached. Sources told Variety that even if Netflix and Cannes did reach a solution, the streamer doesn’t have a festival-ready film to present. Netflix has a handful of films that could be big gets for the Croisette: Martin Scorsese’s mob drama The Irishman, Steven Soderbergh’s Panama Papers movie The Laundromat, an untitled Noah Baumbach movie, the Safdie brothers’ Adam Sandler movie Uncut Gems, and David Michôd’s Timothée Chalamet medieval drama The King. Last year, when Netflix skipped Cannes, Roma premiered at the Venice film festival instead, and won the Golden Lion. The Netflix-Cannes feud started in 2017, when French theater owners were up in arms over Netflix’s online streaming model. While Netflix won’t screen any films this year, executives will attend to see films seeking distribution.